I met Nena from Bare Origin a while ago at Balance Festival, the festival itself was of course all buzzing and busy, it can almost be overwhelming, but there was something I felt calming while talking with Nena. 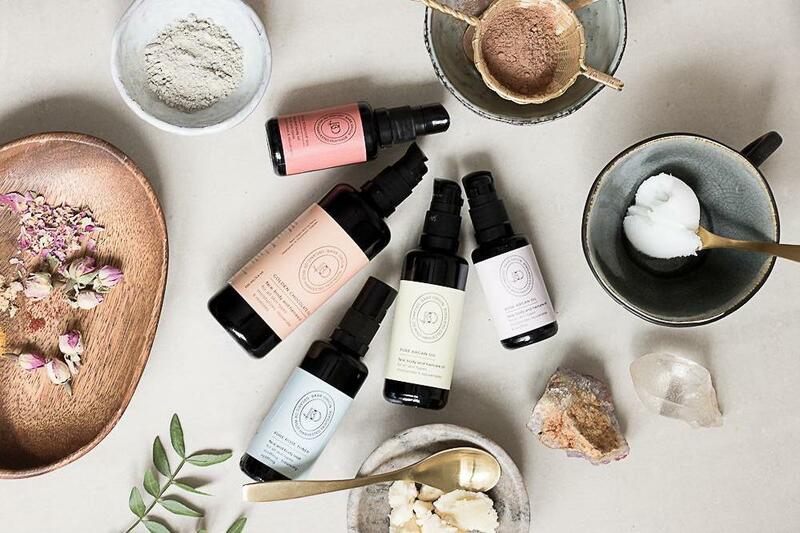 Originally from one of my favorite countries - Sweden, she spoke passionately about her products, the development and how she travelled to Morocco herself to search for the best ingredients for her oils (read her story here). I had a try with the rose hip oil - the texture is so fine and silky, not to say it smells like rose heaven. This may also have a bit of bias after my amazing trip to Morocco a few months ago, the smell just reminds me of the amazing trip. How did it all started with Bare Origin - what was the catalyst that sparked your interest to start your own skincare line? Well, long story short the journey started in Morocco and with my love for argan oil. After a few travels to Morocco and learning more about the culture and the product, I finally decided to take a leap of faith and make a business out of my passion. I used to work in the IT industry since that's my education background but i really was seeking for a more meaningful way to chanalise my potential. So I quit my job and started Bare Origin. My mission with Bare Origin really is to educate people in natural ingredients and what real quality means. That's why I am so transparent with the source of my products and show the stories around them. In the same time I am looking for ways to give back to the community where my products are coming from. I am very close to my producers in both Morocco and Bulgaria that way I know exactly when and how I can help them. I am thinking and acting sustainably all the way when developing my products. I want to chalenge myself and the industry, for that metter and create an environment of healthy competition, can the skincare industry be fair, organic, biodegradable and profitable? I believe we can! What's your day-to-day routine like as a entrepreneur? My day-to-day routine varies a lot. I am still running all aspects of the business myself, so one day I would have my marketing hat on, other day I am sending over whole sale prices and negotiating retail and another I am talking with my chemists formulating or improving a product. I am traveling quite a bit so I always work on the go, from my computer or phone. It sounded to me you have been travelling a lot - How have traveling sparked your ideas and helped with your creation/business? Traveling has really open my perspectives both personally and profesionally. Trough traveling I have learned that there are so many different ways to live your life and that when people step outside the prorgamming of seeing the world trough the lens of their fears, life enables them to manifest everything they can possibly dream of. Traveling has helped my become fearless, dareing and creative. Professinally traveling to the source of my products has given me the confidence to differentiate different types of quality and be able to choose the best. It has tought me a lot about my ingredients and helped me act sustainably and being fair to the people who make them. I love building these relationships, it all goes beyond business and really building friendships around the world. This makes my life so rich and fulfilling. I love the fact I can just write a Facebook message and can go an visit friends all around the globe. It is really magical! So what now? Sign up to our newsletter and one lucky winner will receive the gorgeous set of rose hip oil and toner.